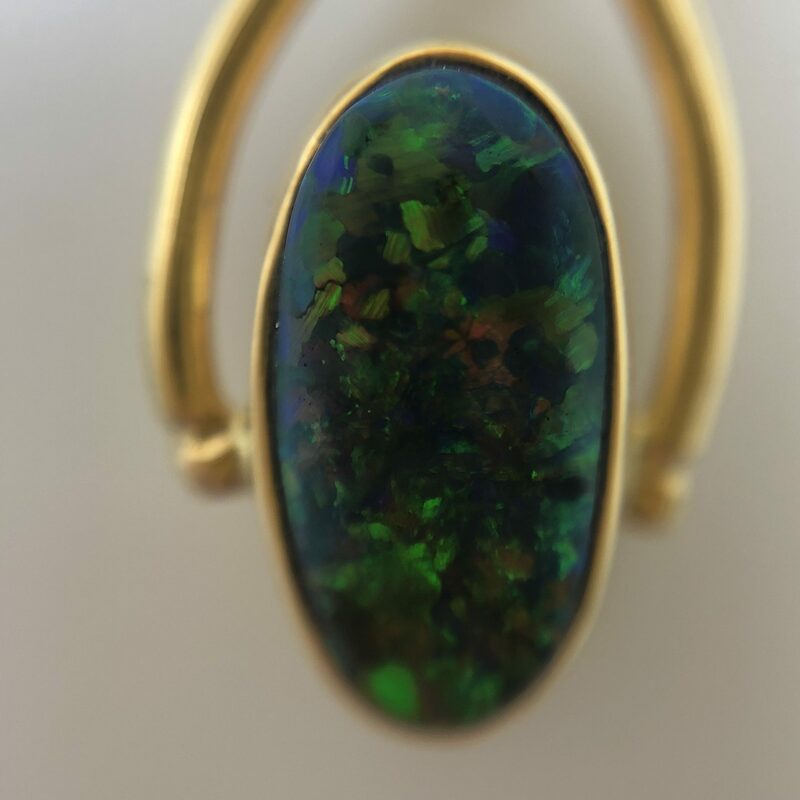 Stunning green opal. 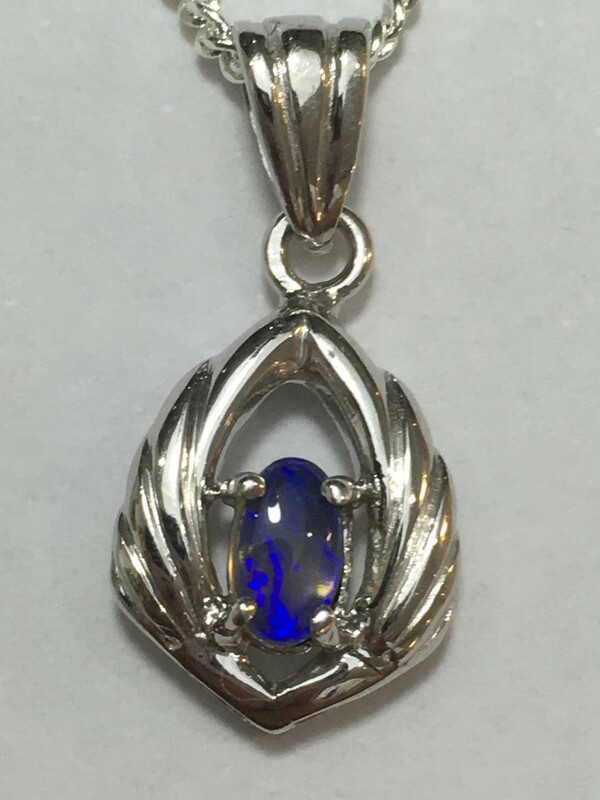 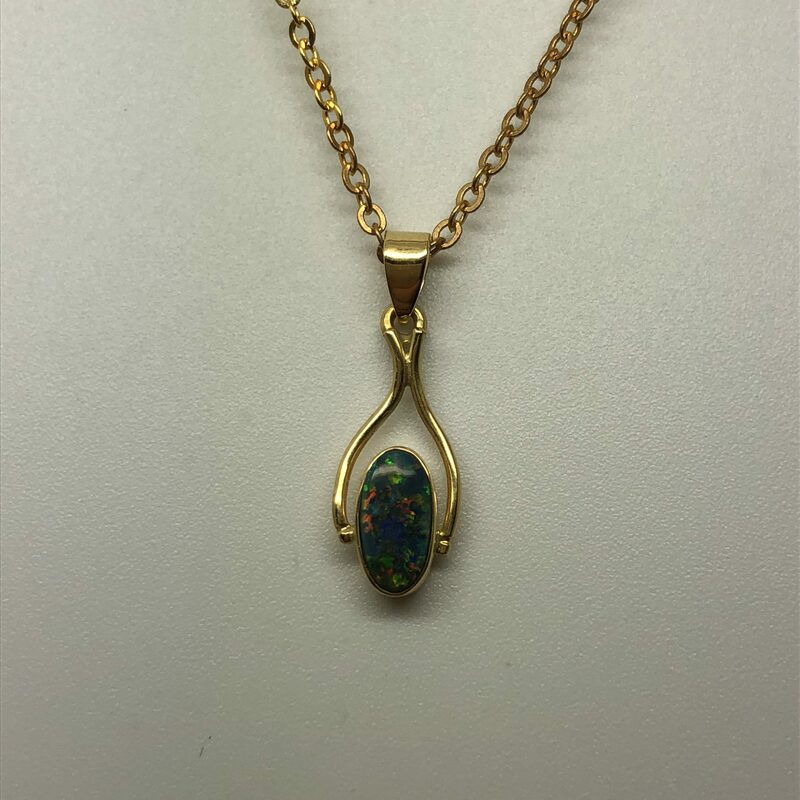 This solid black opal set by hand in 18ct yellow gold. 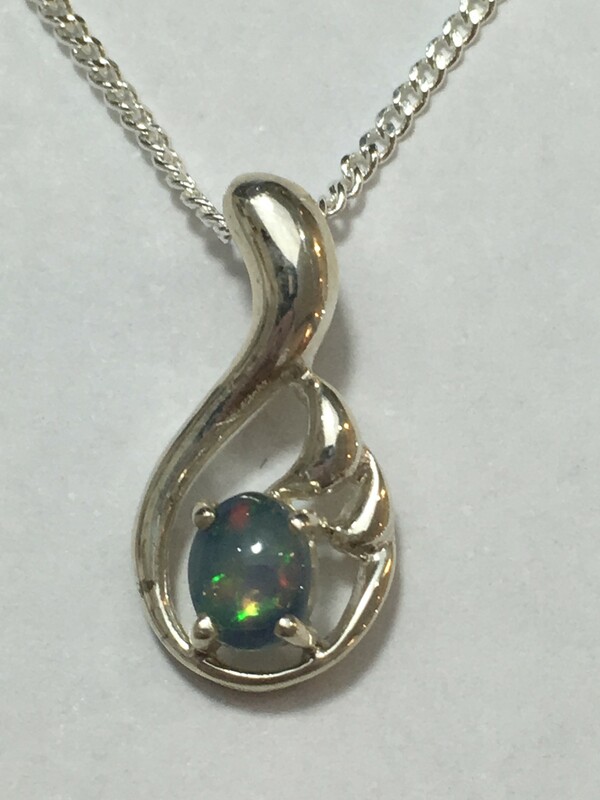 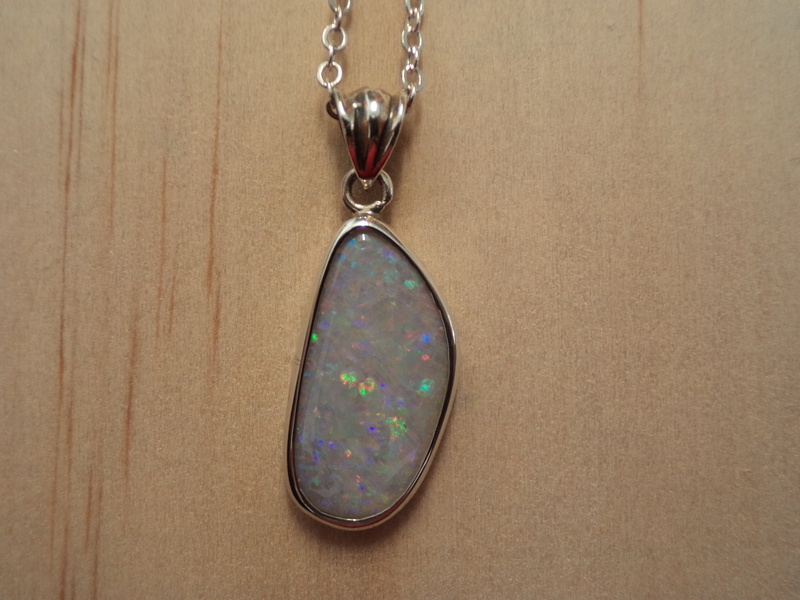 Opal is 4mm by 8mm in size. 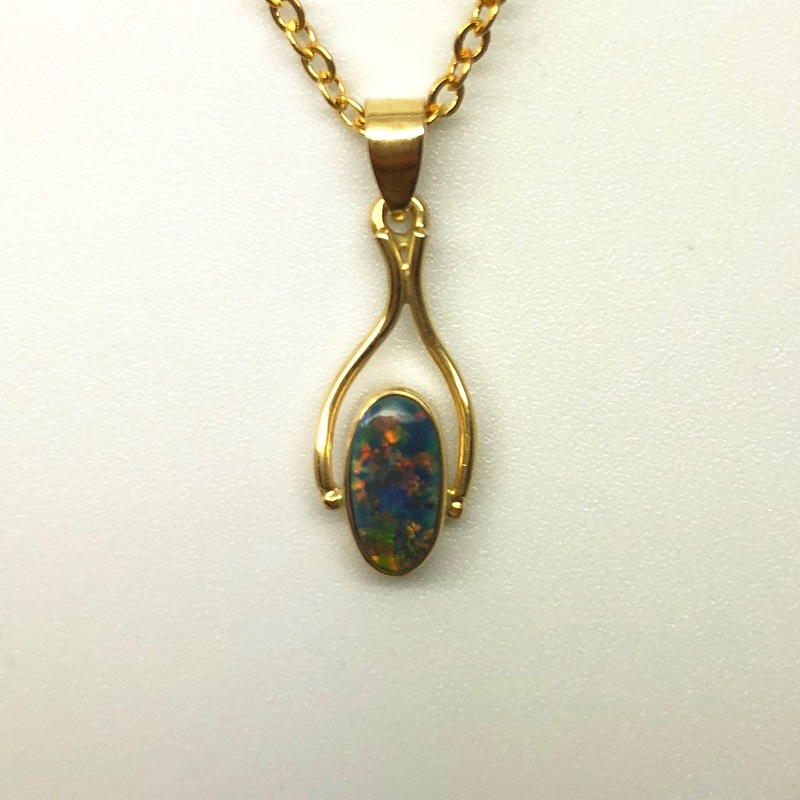 Comes with complimentary gold plated display chain.